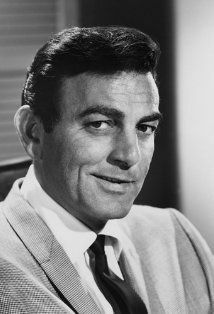 “`Mike Connors was the hard-hitting private eye on the long-running television series Mannix. It ran for eight years on CBS. He won a Golden Globe in 1969 for his performance. “`On the small screen, he guest-starred in Cheyenne, Tightrope, Maverick, Wagon Train, Perry Mason, One Step Beyond, Walker Texas Ranger, Murder She Wrote, Diagnosis: Murder, and Two and a Half Men. Connors played Air Force Colonel Hack Peters in Herman Wouk’s World War II-based miniseries War and Remembrance. “`Connors made his film debut in 1952’s Sudden Fear, starring Joan Crawford. Other movies included Island in the Sky, The Ten Commandments, Good Neighbor Sam, Harlow, and a remake of Stagecoach. “`Using his celebrity, he and his wife championed efforts to erase the stigma of mental illness. Connors was also the proud owner of the Forgotten Hollywood Book Series. This entry was posted on Thursday, January 26th, 2017 at 10:17 pm	and is filed under Blog by Manny Pacheco. You can follow any comments to this post through the RSS 2.0 feed. Responses are currently closed, but you can trackback from your own site.